Ha I just revisited C&C this weekend playing skirmishes on Generals Zero Hour. I pulled Red Alert 3 from Origin too but ain’t played yet. I have also played a lot of c&c generals zero hour with my cousin back in the day. 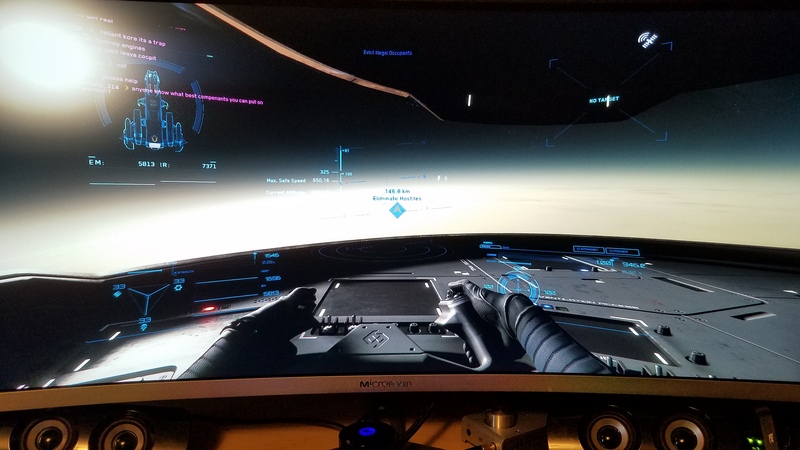 Star Citizen. So much so that I activally avoid playing it. I could lose days/weeks in that game. I have both PC and console games, but my most favorite game is Destiny 2. My friends and I are totally crushed over this game. We just play Destiny 2 all the time, the game play of this game is totally amazing. Also, we got this game at such great discount after the subscription on PS4, this was the best deal I’ve ever got. My friend found this site while surfing over the internet and The Witcher 3 is also one of my favorites. Favorite of all time, Albion or NWN. Current favorite at the moment has to be Fallout 76, been really hoarding stuff and building better and better X-01’s. That and melee blowing up cars that people are standing beside. Feels good killing level 90+ mobs in 2-3 hits with my trusty Super Sledge. Still needs a bunch of fixes though, that and they should probably make the cars in the first starter areas so they can’t blow up. Trying to get to level 200 atm, I mean I only really need to get to level 87 to have all the skills I need but there is no kill like overkill. Star Wars Galaxies (Pre-CU) - the greatest mmo experiment and resulting dumpster fire ever. hyper dimension neptunia re;birth and atelier Sophie both for rpg and great soundtrack to listen to the point I am addicted to the songs those games. Mine would have to be GTA IV or GTA V, Probs V because I’ve invested a seriously silly amount of time into GTA Online. Hey @kewldude007 or anyone else is Star Citizen anything like Eve Online? Meaning is the play style similar. Also in your opinion is it as difficult to play as Eve Online? I tried Eve Online about 10 years ago when I received a 14-day free trial key (I forget where I got it from) and found it very hard to master, of course, I am assuming if I had purchased the guides I would have had a better experience. Since I didn’t have any friends that were playing it and I found the controls a little hard to master I stopped playing when my free trial was over. Also, my favorite games have been Star Wars Galaxies, Guild Wars, and my current favorite Star Wars the Old Republic. @kewldude007 Is there any way I could get a free trial, so I can see if I would like it? Recently will have to go to Rocket League. I was hoping the new Super Smash would be awesome, but I’m just not feelin’ it. That’s kinda how I feel about all Nintendo games nowadays actually. Except the new Zelda. That one’s awesome. How could I find out when they will have another free flight event? @kewldude007 thanks for the suggestion. Well, I also like to play video game I used to play many role playing vidoe game like Destiny 2, COD, PUBG and many more. Looking for the latest series to arrive this.